As the founder of B-360, a Baltimore-based social business that capitalizes on the city’s dirt bike culture to get young students interested in STEM and engineering, Brittany Young works to bring people together. 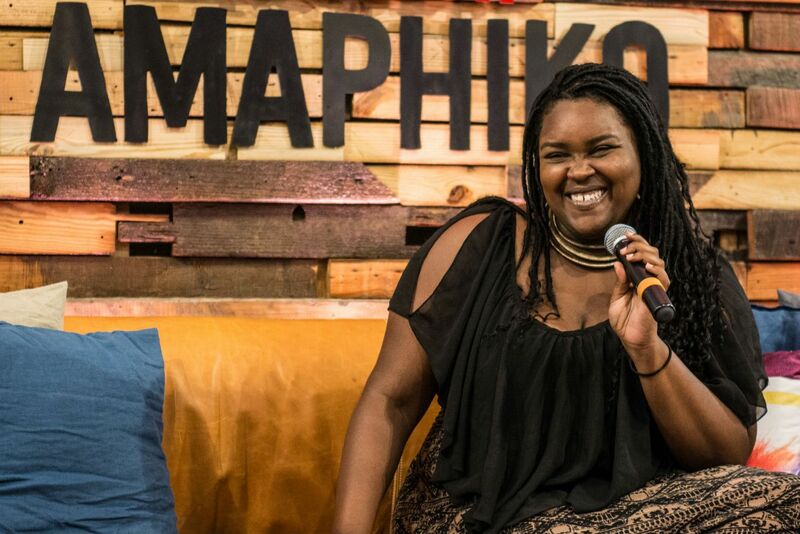 And as a participant in Red Bull’s Amaphiko Academy — an 18 month program that provides support to promising social entrepreneurs — she’s been joined together with Tara Roberts, a journalist and co-founder of Girl Tank, a community hub for female social entrepreneurs. Together, the two are building Young’s growing business, focusing on goal-setting (and achieving!) and building a new problem-solving network. Brittany Young: Tara is my amazing business coach and guru/mom. [Laughs.] She keeps me accountable. We met through Red Bull Amaphiko Academy, a program that gives wings to social entrepreneurs. We had a 10-day program about best practices in Baltimore, and through it I met Tara. And she’s my coach forever, even though the program is technically only 18 months long. WE: How did you end up matched with Tara? RELATED: This Co-Founder's Startup Matches Clients with Local Therapists — and Her Mentor Used Her Services. Tara Roberts: There are four total coaches in the program and about 16 entrepreneurs, so each coach is matched with four entrepreneurs. I lived in D.C., Brittany’s based in Baltimore, so I do think there was a bit of thought in the fact that we’d be close. And we both happen to be African American women, which is a beautiful thing to connect on as well. WE: Brittany, have you always been entrepreneurial? BY: Entrepreneur is a new term for me, but when I think back through, well, my whole life — I just turned 29 — I’ve always been like this. In school, I sold sugar. I’d dye it with food color, and sell it, because people like sugar, and I like money. But B-360 is definitely my first mature version of entrepreneurship, and Tara’s really given me everything. She has a great lens and background in entrepreneurship and nonprofits. She helps me set tangible, achievable goals, which is challenging for me because I’m such an optimist, I always think things can and will happen right now. So she’s helping me hit certain milestones while being an ear to vent to. RELATED: The Mentor for This Clean Beauty Retail Founder Lent Her Influence and Credibility. TR: Having mentorship is just super important, and I’m glad I can be one of those voices in Brittany’s life. I think one of the things — and Brittany, correct me if I’m wrong — but one of the soft things that’s often missing as an entrepreneur is just having someone to talk to when stuff gets hard. And stuff gets hard fast. You feel alone, crazy, what the heck is going on? Having someone to say, Am I crazy? Or, I’m scared! It makes such a difference. So I can be a listening board for her, and she’s also in the presence of someone who admires her and thinks she’s great. You need that affirmation. BY: I echo all of that. TR: The organization I founded supports female social entrepreneurs, and when we started out we thought we’d help them raise money or help with capacity building. But really, they mostly needed someone to talk to who was in it, too. And that’s especially important for women. WE: How often do you two keep in touch? BY: We talk every month, formally, at least. My life moves fast right now, so it feels like I pack two years into a single month. But we have formal and informal check-ins and texts, and keep up with program benchmarks. We were in Detroit recently, all the program fellows met with the coaches to discuss progress, and that was my first time seeing Tara in person in a few months because she was on an amazing sabbatical — but she still made time for me, which made me feel very important. TR: Brittany’s currently winning a lot of amazing awards and grants, so we’ve been talking a bit more frequently as she’s getting those applications in and pitching more often. BY: Everyone reading this should go to B-360Baltimore.org and click on the link to donate, because we still need to fundraise. But we were named Social Innovator of the Year in Batimore in 2018, and I just became Echoing Green Fellows for Black Achievement for 2018 — and the benefit of that is, this can be my full-time job, because [these awards] help us be financially sound. WE: What will your relationship look like when the formal program ends? TR: I don’t know exactly what our work together will look like, but when you spend all that time with someone, helping them build something from scratch, your relationship doesn’t end. I hope to be available to her whenever she needs. B-360 is going to be huge, but she’ll always need someone who can be a good listener and remind her that she’s on her own path. BY: The benefit of having Tara is that, if I don’t know the answer to something — or if my best friend Google doesn’t — I can ask Tara, and if Tara doesn’t know, we can ask other mentors in the program. And if they don’t know — well, someone can definitely get me to a person who knows the answer. We can always figure out where to go next.